Sasquatch! Music Festival-goers are taking their hardest hit yet with the announcement that the festival will not be returning in 2019 and, with producer and founder Adam Zacks leaving, the festival’s future beyond next year is also unclear (though Zacks bidding farewell to the festival, as reported by Willamette Week, isn’t promising). 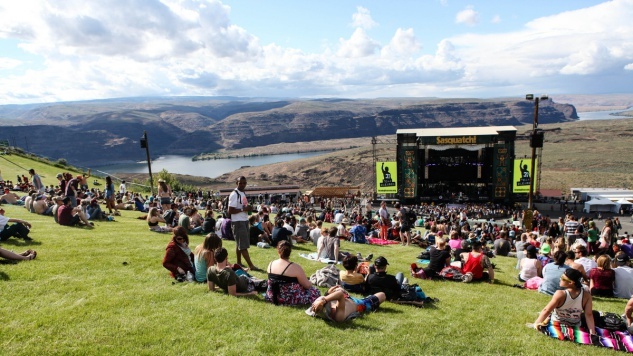 Taking place over Memorial Day weekend at The Gorge Amphitheatre in George, Wash., since its first occurrence in 2002, as just a one-day festival at the time, Sasquatch! has hosted an array of artists with a strong focus on rock/indie-rock and singer-songwriter acts. Still, the festival has struggled over the course of its run, having to cancel the additional weekend added in 2014 and at times significantly under-selling its capacity. Artists like Neko Case and Modest Mouse have both been at Sasquatch! since nearly the beginning—and so have we—as both acts played the festival’s second year in 2003 and this possibly final year of 2018 (Case has played the festival a total of nine times, between her solo act and The New Pornographers; Modest Mouse a total of six times, as per 107.7 The End’s lineup records). After an especially stellar 2018 lineup, it’s hard to see the festival go, but as Zacks said, “Onward to the next adventure.” From the big names of Bon Iver and The National to the dead-on rock act White Reaper, punk duo The Garden and country-influenced indie act Whitney, Sasquatch! 2018 will serve as a good close to this festival’s book, if this is indeed its end. Reminisce with us over some great years at Sasquatch! at the Gorge in these photos galleries from 2012, 2013 and 2014, and see how fans and artists alike expressed their gratefulness for the amazing times this festival enabled throughout the years below. I’m not sure that there is a festival we’ve played more in our 11+ years as a band than @Sasquatch. Beautiful people in a beautiful venue. Thank you for taking a chance on a tiny band from Upstate New York. Super bummed to hear that Sasquatch won’t be happening in the future. There aren’t enough safe havens where we can all meet and enjoy the music for what it is, and get away from the outside world, if only for a few nights. I’m grateful to have been a part of the last one.